Air craft technician Aurelio Murillo inspects an SCE helicopter. Maintenance crew is the peace of mind behind SCE's helicopter fleet. 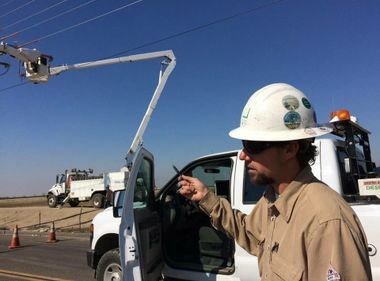 Like the precision of a surgeon, lives often depend on the dexterity and professional competency of Southern California Edison helicopter mechanics. 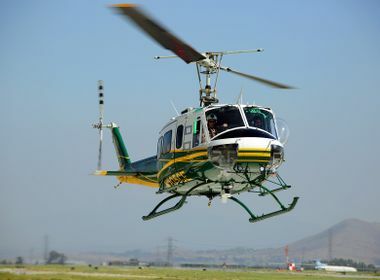 The team of seven mechanics overseeing SCE’s helicopter fleet based out of the Chino Air Ops facility often feel the weight of their responsibility. “The work really doesn’t stress me out,” said Don Southworth, an SCE employee for 41 years and a Vietnam veteran. “We have a standard and process for the way we work and we don’t let the challenge of the job scare us. Others admit the responsibility weighs heavily on them, but embrace it. 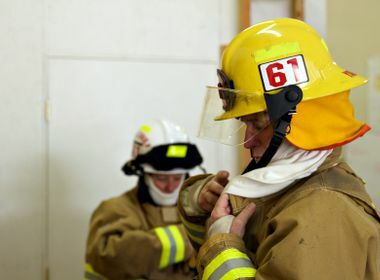 More than a responsibility, the crew approaches their job as a privilege. It’s a dream vocation that has a family atmosphere. Every SCE helicopter in the fleet comes down for maintenance after a few dozen hours in flight, requiring different types of inspections year-round, while maintaining standards that are best in class for the aviation industry. The work also has seasons and cycles, but the routine is anything but mundane. As cliché as it sounds, it’s the teamwork that makes it easy for these unsung mechanical surgeons to come back to the hangars each day.